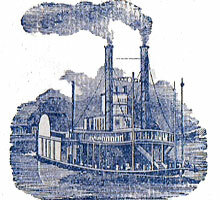 Above: Steamboat No.999 produced by Russell & Morgan Co., Cincinnati, USA, c.1883. This was the cheapest deck they offered for sale and in this instance only two colours were used on the court cards to keep the printing costs to a minimum. The Ace of Spades is a generic design without any brand name printed on it, but the brand name and number 999 can be seen on the box. The plaid back design is also printed in one colour. 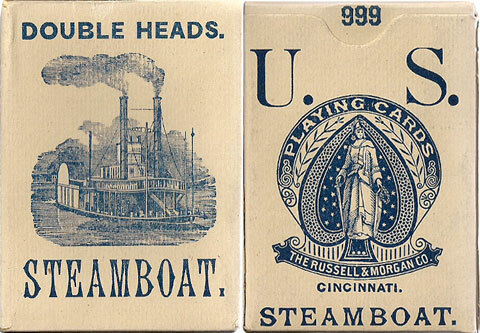 Above: a slightly later edition of 'Steamboat No.999' playing cards produced in three colours by the United States Printing Co., Cincinnati, USA, c.1891. 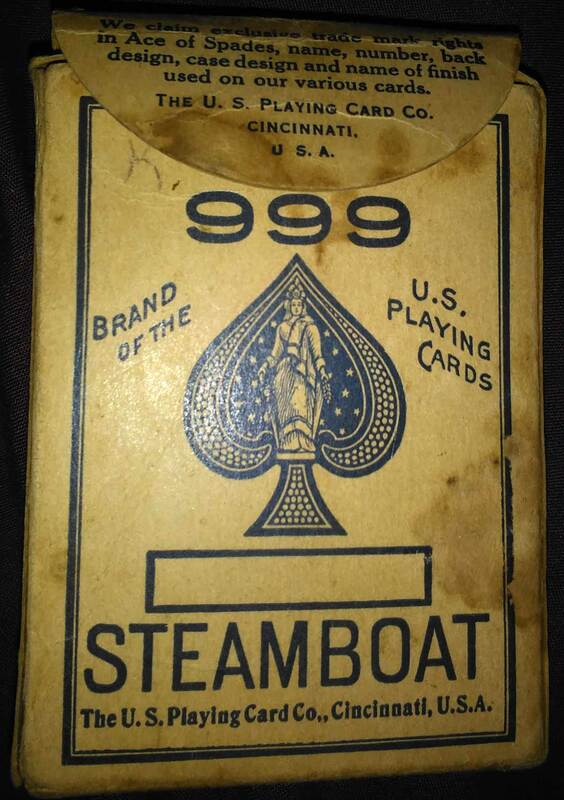 The Ace of Spades now has the number 999 but not the title “Steamboat” although the image of a steamboat is evoked. 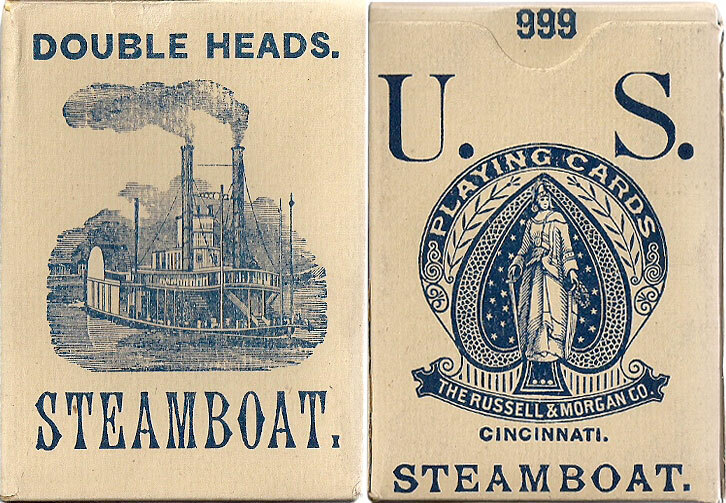 Above: Steamboat No.999 playing cards with named ace of spades produced by the United States Playing Card Co. at the Russell & Morgan factories, c.1907. Images courtesy John Gallagher. 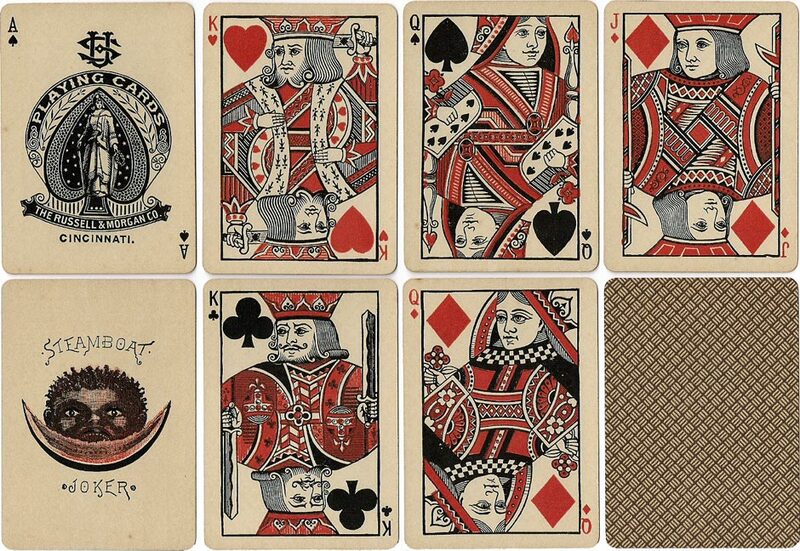 Unless stated otherwise all images on this page are from the collection of Rod Starling, author of "The Art and Pleasures of Playing Cards".